Probably the most unique feature of the OptionsANIMAL education is our community. In our classes, in our Live Open Forum Coaching sessions (which are held six days a week) and through our weekly Internet radio shows, we encourage group participation and development of community. We encourage the sharing of ideas. The OptionsANIMAL community is made up of students and graduates alike from all professions, from all over the world, and from all walks of life. Their varying backgrounds, educations and professions mean that each and every individual has something to contribute to the community. It also means that each member of the community benefits from the input of each of these unique individuals. Imagine what it would be like for you as you begin your options education training knowing not only do you have the finest coaches available to you, but you have members of the OptionsANIMAL community, fellow students and graduates alike, helping you as you master the materials. Though this is Internet based training, you will never be alone. 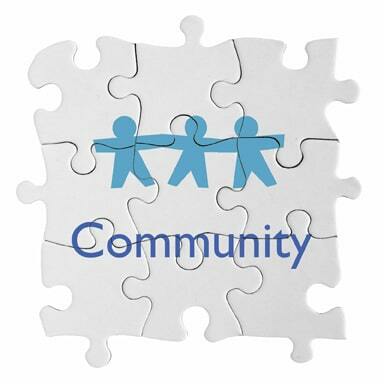 “It is a community! You can always find someone to help. The instructors don’t provide false confidence, they are concerned to make sure you understand concepts.” – Rick K.
“The coaches take time to answer your questions & make sure you really understand the answer, otherwise they go out of their way to help, offering email support. Even the coaches really seem to care. It feels like a family instead of a factory.” – Linda P.
“OA community has helped me improve confidence, increase knowledge and reduce risk in trading options.” – Navin A. “Confidence, less emotions, skill to execute strategies, fun.” – Dennis L.